The robotic revolution is long underway. Robotics is poised to be the defining technology of the 21st century: It’s not a question of "if", but of "when". This is why we are developing the world's first comprehensive database of consumer robotics, to track the development, use, and destiny of these miraculous machines, as they become more diverse, and more ubiquitous. Let's take a step back: Automated beings have a long history in folklore from around the world. In ancient stories, autonomous machines were fashioned from gold, or clay, or sown from dragon’s teeth like tomato seeds, or built by master mechanical engineers. Many of the these stories date back to the 11th century BCE, and indeed ancient schematics for robots, left for posterity by Greek and Chinese intellectuals, date back to the 4th century BCE. In 322 BCE, Aristotle wrote in his poetics about an automated world freeing mankind from inequality by abolishing slavery and labor as we know it. Aristotle described a shuttle weaving itself, and a plectrum performing harp music without human assistance. Al-Jazari's music was clearly the product of human design, but the unpredictability of the water, the choppiness of the lake, and the speed and direction of the wind all gave the music a kind of random variation that might have approached artistic expression. Despite the long history of automated beings in legend and mechanics, the term "robot" is barely 100 years old. It comes to us from the Czech "robota," meaning servitude, and gained popularity as a term for an automaton after the global success of the Czech play Rossum’s Universal Robots. Before that play, a robot was merely a servant, and had nothing to do with mechanics. 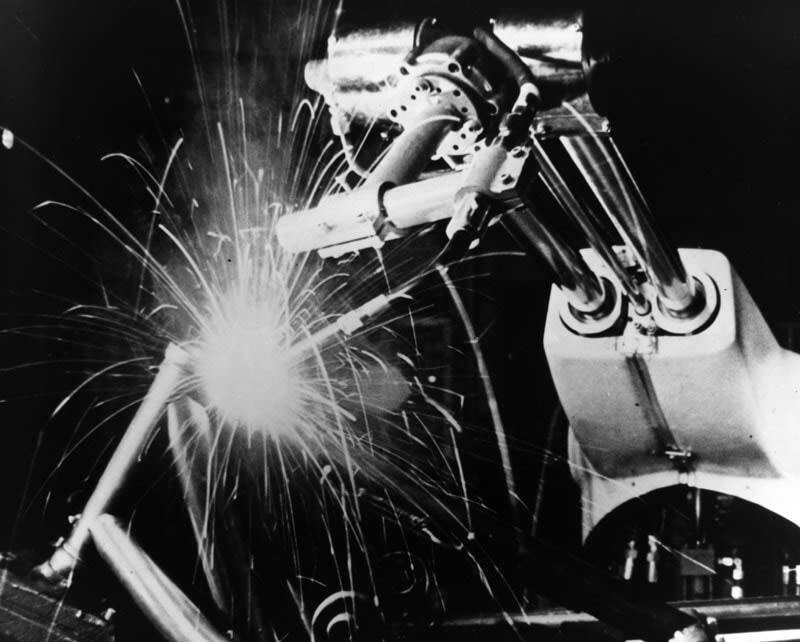 In the 1960's the first industrial robots came into use: The unimate welder was used by General Motors in automobile manufacture. The fastest factory in the US, in Lordstown, Ohio, went from producing about 68 cars per hour to over 100. But an important detail: GM fired over 200 line employees as a result. Robots don’t get tired. They don’t get sick. They don’t complain. But the ethical dilemma that robots pose in the labor market is substantial, and indeed it was new technology that led to a vast number of strikes through the 60s and 70s in places like Lordstown. Today’s labor landscape is vastly different from that of the 70s, but now more than ever, a tremendous amount of automation is being put to work upon everything from industrial manufacturing to food service. But job displacement is not the only area in which ethical problems will still arise: How developments in the field might affect closely held notions of work, labor, and creation, we can only speculate. Fiction has often cast the rise of artificial intelligence as suspicious and terrifying. The fear that a community of self-aware robots, humanoid or otherwise, could rise up against its human creators is a well-worn trope in science fiction literature. Dystopian tales notwithstanding, it turns out that personal robotics, which is the peculiar focus of this website, tend to be much more helpful than harmful. There are drones that can automatically return to their starting point so as not to get lost in flight, robotic vacuum cleaners and lawn mowers that can map out the edges and obstacles of your space, and let’s not forget those little puppy robots for kids who would never bother to walk their own real dogs. Reasonably, any complex machine that can take a simple input and translate it into much more complex action has its place in the field of robotics. 3D printers fall into this category, and, by way of only a small stretch, so do self balancing scooters and many other advanced machines that move from one place to another. Perhaps most notably: The self-driving car. The future holds a tremendous amount of potential for the field. In the days and months and years to come, we’re going to see the steady transition from human driven automobiles and trucks to fully automated, self-driving cars. Google is at the vanguard of self-driving technology, with companies like BMW, Mercedes, and Tesla, among others, all throwing their hats in the ring. 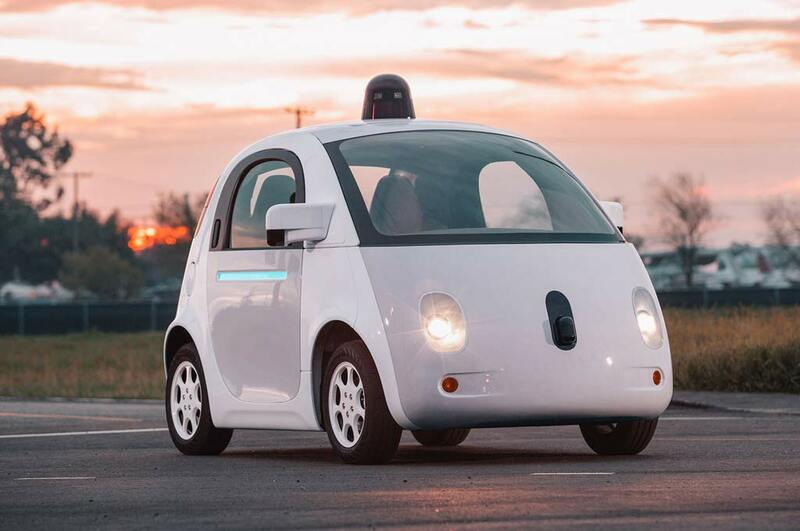 As research continues, features of these autonomous cars are making their way into our regular driver-operated vehicles. Back-up cameras, blind spot warnings, etc., have all come to us out of the dream of an autonomous vehicle. But, we're getting ahead of ourselves. The primary function of Botdb will be the cataloguing and tracking of developments in both the technology and the real world application of personal robotics. When the latest news breaks, you’ll get it here first. When the newest product drops, you can compare here to everything that came before it and everything likely to come after it. Our goal is simple: For botDB to be the only place you’ll need to go for anything and everything to satisfy your passion and curiosity for personal robotics.